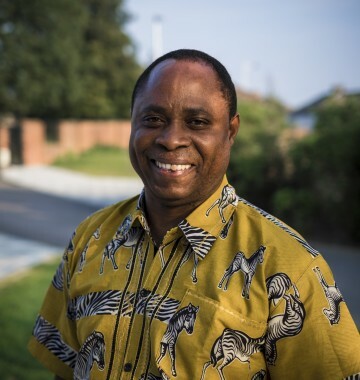 Richard’s background has involved a great deal of travelling, investing his expertise into community development initiatives and consultancy work, and supported by two degrees plus diplomas in both Project Management and Non-Governmental Organisation (NGO) management. Richard describes his vision as one of being able to equip and enable the poor to reach their full potential, releasing it as a resource that helps them to work towards sustainable lives, raising a generation of leaders who have a heart for the marginalised, bringing hope to the hopeless. Richard was first introduced to LifeLine in 2011 by Anecleto, our partner in Mozambique, and now operates as the director of the network’s growing initiatives in Zambia. Richard’s current work involves extensive leadership development and training programmes and consultancy both in Zambia, elsewhere in the Africa sub-continent, but also into the USA and Singapore, and he is also seeking to develop a program for rescuing vulnerable children from their prevailing restrictions, releasing them into a different future through the provision of sponsored education from pre-school to university. He is managing an educational based community service called “Lifeline Children University”.